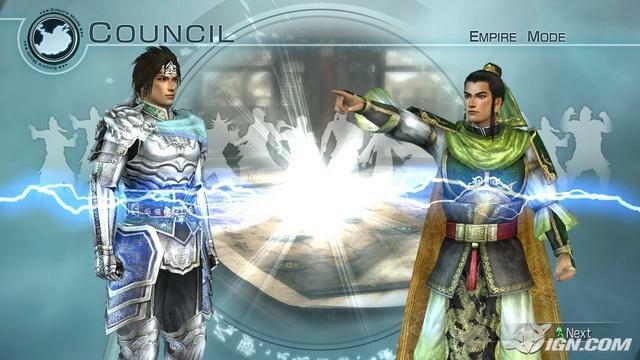 Dynasty Warriors 6: Empires combines all the great elements of prior Empire games and adds a whole new level of customization.. but is it enough? 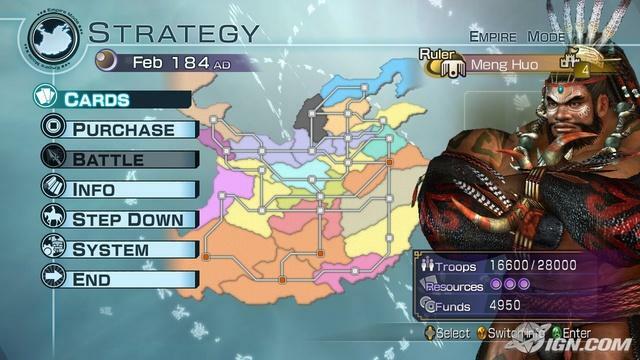 The basic Dynasty Warriors Empires' game has followed a formula of allowing you to choose a current character and play through trying to conquer territories of China with the help of recruited generals along the way. DW6:E adds to this popular scheme by including full character customization of your own liking. 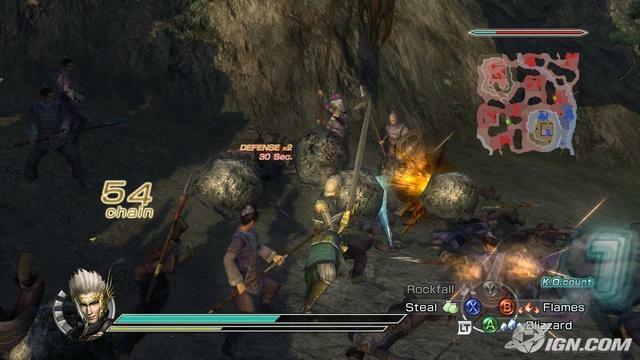 Along with other items and weapons, there proves to be much to like in this newest installment. You begin with a base model -- male or female -- your choice. As you progress through the facial customization, there are at least six selectable options per eyes, nose, etc. When you begin your game and steadily increase your rank and abilities, other options will become available as well as other wardrobes. Different helmets, chest garments and boots are a few of the things dictated by you in the creation. Want someone in all red? Done. Want a mesh of colors? Just change the pallets before you save your character. You select your weapon, your voice -- even your height and weight before you go into battle. An obvious upgrade over using the same stale characters for a decade and going. There are hundreds of general and lieutenants to choose from; you are not just thrown into picking the few men in each kingdom. Anyone you can think of, you can play as.. including your CAW. You may begin as a ruler or an officer in a kingdom of your choice. You complete missions from defense to diplomacy to attacking a local power. If you complete all of your given tasks by your lord (or yourself, if you have selected to be the ruler), you may do mercenary missions in an attempt to gain experience and increase your chance for friendships / oaths / factions / marriages. As you advance with success, you will be given higher seating in the Council, which allows you to make suggestions. Success also comes with a raise in pay, as you will see your salary jump for your loyal services. But what good is money with nothing to spend it on? The only drawback with the strengthening system for weapons is that you may not change weapons. Whatever you had selected for your character (if you made one) must remain the same but you can imbue it with powers and raise it's level to do more damage to dastardly foes. The Red Hare is back -- for a mere 30,000 gold. You can now purchase an upgrade of horses that are taken into battle. Simply hit the [Select] button and you will whistle for your colleague in an attempt to make haste on the battlefield. Better than they have ever been should count for something, right? Well, in this visual generation, they are still behind a vast majority of other games. Fortunately for DW lovers, it doesn't reflect much and the fast-paced gameplay only allows you to notice small texture disadvantages and some frame rate lag in large areas. 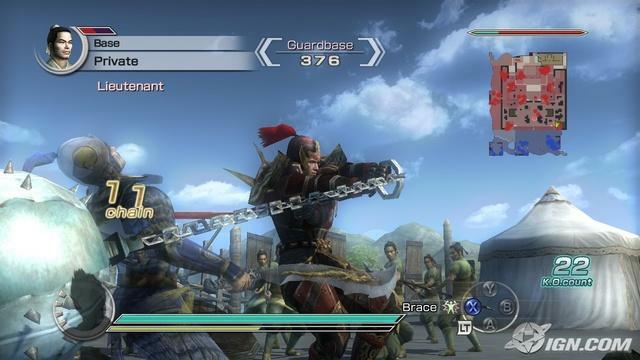 Boisterous as ever, Lu Bu sounds like he took an extra dose of HGH. A lot of the character voices are amped up and sound seriously off-beat. The only redeeming quality of the voice acting is that your created warrior can choose from over ten voice options as well as low-high pitches. 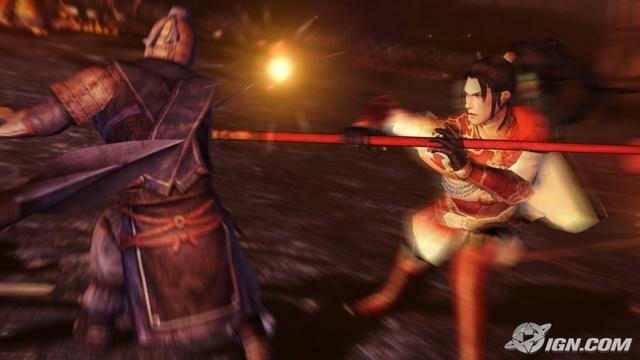 The music includes almost every song of past Dynasty Warriors plus some mixed new versions. All of the options are selectable during in-game battle, so you don't have to listen to the same song on the same board every single battle. It's a simple plan - Advance through the territories by battling through supply lines, enemy camps and main bases. The AI replenishes itself if you try to quickly eliminate the main camp so you must systematically and strategically expel your efforts on the closest target and work your way up. While they are abundant, they are still using the same ol' tricks like waiting for you to attack and sitting in a giant pack for their pleasant demise. Overall, there is a lot to like about DW6:E. The customization and the new powers and weapons are a fresh breath of air in a stale genre. If you're a fan, this is definitely worth a look. It retails at $39.99 for the full game nationwide.